An old, sleepy and tranquil village Satghara lies about 80 kilometers from Lahore (10 minutes drive away from Gogera) in the quiet backwaters of the Punjab. The coins found at Satghara prove that the place was inhabited at the time of the Kushan dynasty. The rule of Kushans was one of the most decisive periods in the history of the Subcontinent. At the height in the second century (A.D.), Kushans ruled from Oxus to Ganges and yet their influence spread beyond even these frontiers. On the southern bank of the Ravi, it is a typical Pakistani village where farmers live like rustics in the face of urban attractions. Though off the beaten track, it has never been out of limelight. Besides heritage conscious travelers from all over the world, Baloch leaders and contemporary historians visit the hamlet. Reasons: it is a "Tukia Nawab Chakar Ki" - last resting-place of Mir Chakar Rind. I see part of our history buried here whenever I have a look at it. And I do that often. One such immigrant, center of Balochi love lore and war ballad, Mir Chakar Rind is regarded as one of the great Baloch heroes. Born in 1468, Mir Chakar Rind lived in Sevi (modern time Sibbi) in hills of Balochistan and became the head of Rind tribe after his father Shiahak died. A natural leader and warrior, Mir Chakar Rind was a man with resolute determination. In 1496, Mir Chakar traveled to Hirat (Afghanistan) to muster support from Sultan Shah Hussain. To prove his personal valor, he was made to fight a mad elephant and ride a tough horse in Hirat. He succeeded in all these tests though could not get the support. A class of Balochs even regards him having been invested with saintly virtues and mystic powers. Over a trifling mater - a Lashari youth butchered and roasted the kid-kamels - Mir Chakar and Gwaharam, head of the Lashari tribe went to war. Thousands of Rinds and Lasharis were killed in this war, and ballads that still echo in hills of Balochistan and are part of Baloch oral literature, commemorate the personal gallantry of the two heroes. After 'the thirty year war' against Lasharis, he left Balochistan and came to live in the Punjab in 1518." Why Chakar-e-Azam, as he was commonly known, preferred to settle in the central Punjab, far away from Sibbi is not known. Once at Satghara, he constructed a fortification wall around the village and burj (watchtowers) in 15 squares Kilometers area encircling the fort for early warning against impending dangers. In case of any threat, the guard on the watchtower would light up fire, which will be spotted by the other guards and the news would be communicated all around without delay. From one crumbling watchtower, I could see miles of waving cops in all directions. Settled in Satghara, Mir Chakar Rind became a regional force to recon with. He was respected (and feared) in the area. Afghan King Sher Shah Suri approached Mir Chakar Rind to join hands with him and help him consolidate his gains. Mir Chakar Rind appreciated the situation and not only wisely refused to help Sher Shah Suri but also managed to elude Afghan armies. Instead, his forces under the able command of his son Mir Shahdad joined Humayun when after a long exile in Persia Mughal emperor came back, recaptured Delhi and ousted Afghan Suris in 1556. Emperor Humayun as a reward conferred a vast Jagir (including horses and slaves) upon him. 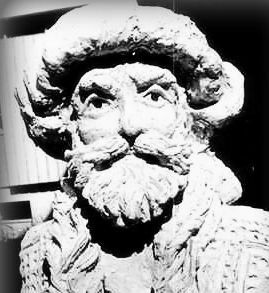 Mir Chakar ruled this chieftaincy till he died at the ripe age in 1565. It is the tomb and fort of Mir Chakar Rind - or whatever is left of them - that curiously conscious and those interested in history come to see at Satghara. The fort is large. Actually the wall once encircled the entire village. Two gateways with flat bands and pointed arches still survive though badly damaged due to ravages of time. The wooden door panels have disappeared. With growth in population, the village has grown and spilled out of encircling wall long ago. Standing at a vantage point one can still feel antiquity permeating from the cluster of mud and brick houses inside the fortification wall. In some houses, one can see mythological and thematic murals of the Hindu period. On the periphery, the classical mud houses look nice. Constructed of narrow red bricks, used in upright courses to ensure additional strength, the wall is 25 feet high and three feet thick. Some of its salient portions exist between the tomb and the first gateway. Despite the salinity and cracks creeping up the wall, the architectural feast seems to re-echo to the past memories. Beside one of the doorways, a sign has been posted announcing that the Archaeology Department protects the site. How seriously the 'warning sign' has been taken by the villagers can be seen all over the village. Red thin bricks excavated from the centuries old monument are found used in many spanking new houses in the village. At places the villagers have utilized the fortification wall as part of their houses. 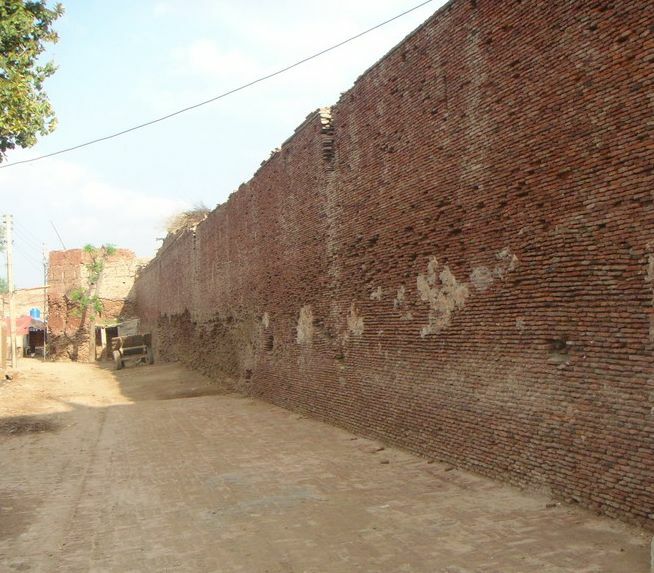 Major portion of the wall and what would have been the living quarters of the family of Mir Chakar Rind have been lost. The courtyard of the tomb has shrunk due to encroachments and presently it is being used as Shamlat deh (community center) for keeping the animals and elders to sit under the shadow of big pipal tree during lazy summer afternoons. The followers who had accompanied Mir Chakar Rind to Satghara built the tomb after death of the hero. Today there is not a single Baloch living in the village. The neglected tomb is dilapidated and the surviving history is falling fast into decay. The main chamber of the once majestic and imposing tomb is octagonal in plan. The roof, decorative work and plaster have vanished. Cracks have snaked in all direction on the walls. The rainy water gathers in the roofless main chamber and stays there till sun dries it. The water is destroying the foundations of the crumbling edifice, which is gradually sinking in ground. There are seven rough mud graves inside the chamber. A small tablet distinguishes the central grave. It reads: Akhari Aaramgah, Mir Chakar (Khan) Rind, Satghara, Okara, Munjanib Yong Baloch Welfare Society, Ravi Road, Lahore. Even the name of the great hero on the tablet is not written correctly - having word Khan inserted quite unnecessarily. Similarly, the large plaque placed by the Archaeology Department needs improvement. 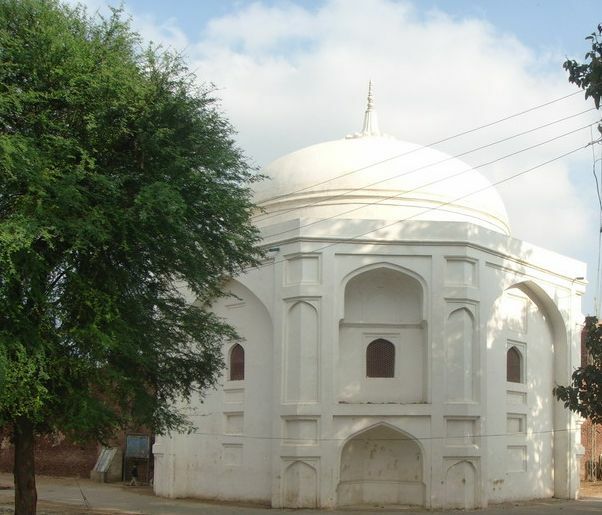 The tomb was desecrated and its roof demolished by Maharaja Ranjit Singh who, on his way to Multan to fight against Nawab Muzafar, had stayed in Satghara about 150 years ago. It has never been repaired ever since. Governments, Archaeology Departments, visitors from all walks of life, police (there is a police station in the village), district administration, locals or Balochs, no body seems to be concerned about the state of this important monument. If one wants to absorb the sense of history, Satghara is a place to visit. One has to possess a sensibility shaped in granite not to be moved by the relics of past age, the monument of departed greatness belonging to a celebrated hero who now rests helpless and neglected in this silent place, far removed from the noisy haunts of men. The first impact that this monument gives is an emotional one, for it is a sign of identity and a part of our history. It also has architectural, documentary, spiritual and symbolic values. In the vicinity, a few van (salvadora) trees, may be as old as the relics, stand witness to the bygone era. Swooping and cooing wild fowls and running squirrels also testify to the continuity of the human habitation in the area. 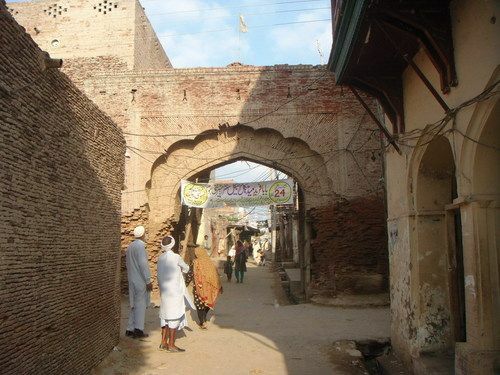 Though not mentioned in the touristy literature, yet travelers who come to see the ruins in Harrappa (about 40 kilometers from Satghara) make to this monument village: to study the history, architecture and culture of the time when the monuments were built. The remains of the monument have to be preserved and saved from ruination, a danger they are facing at present. As I drove back on a single way metallic road, plied mainly by animal transport and milkmen on the motorbikes, I could not help thinking: Can the plight of the priceless site be brought to the echelons of power? Can some national or international agency be moved to act and save the place for coming generations? We owe them this. Thanks Jalal HB. Wish to relive this route sometime.